The imager is extremely expensive and difficult to manufacture a device that finds its application in many fields and spheres of activity. But what makes the infrared camera an important device and what is the principle of its functioning? Imager - a special device used to monitor the temperature distribution on the surface or inside the object. Operation of the imager is directly related to thermography - a scientific way of obtaining images in the infrared. Infrared camera thermal imager contactless way captures the warm radiation of an object, converting it to a digital signal which is then transmitted to the device and displayed on a monitor in the form of thermal images. One of the main problems of production of thermal imagers is the high cost of materials to build the matrix and lens, which, in fact, account for 90% of the value of the final product. Matrix made a very long time and require highly specialized specialists and in the production of lenses using such expensive materials, such as silicon or germanium. 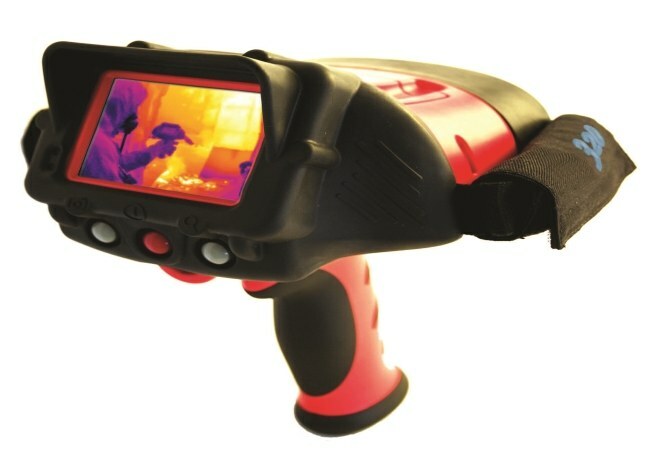 Particular have a high cost of thermal imagers of the third generation, that is, stationary imagers, which are used in industry and construction: their manufacture uses solid-state matrix and a microbolometer made of silicon. The imager is often confused with night-vision goggles. A night vision device amplifies falls within the field of view of light, sometimes blinding when meeting bright objects, and a thermal imaging camera just picks up the thermal energy of the object and transmits it. Thermal cameras have a wide field of applications as large enterprises and in small organizations. In these cases they are most often used for surveillance of the temperature of objects and help in searching faults in the system wiring. A huge spread of the imager received in the construction: in the construction of large structures, the thermal imager helps to detect the sources of heat loss, to evaluate the insulating properties of the structure and separate materials on the basis of which to conclude that the quality of building materials. Rescuers and firemen also use thermal imaging cameras: the heavy smoke and poor visibility thermal imagers help identify fire hazards, analyze the situation and find the way of evacuation. Also used when searching for missing people in the woods or under the building collapses. Interesting fact: for the first time in the medical field imagers have been used in the USSR in the 80-ies of the thermal imagers were used for the diagnosis of diseases in neurosurgery, as well as for the selection of patients with flu individuals from the crowd of people. Special and the most widespread currently receive imaging cameras used in military equipment and weapons. So, scopes, equipped with a thermal imager, can detect living forces of the enemy at any time of the day, in spite of the applied by an enemy disguise (camouflage). Thermal imagers are also used in helicopters and armored vehicles, where they work as part of a sighting system. Sight with a thermal imager for automatic weapons exist, but, because of their high cost, were not used neither in Russia nor anywhere else.